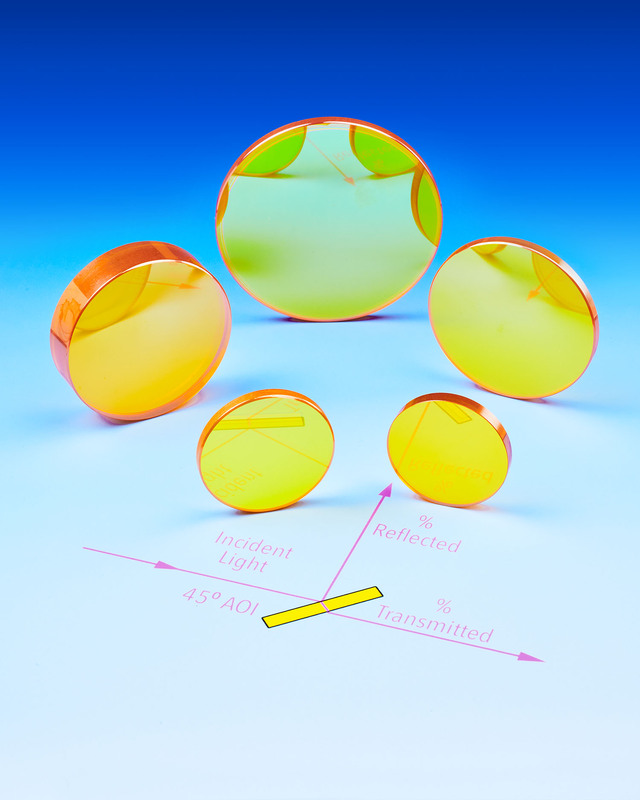 A line of polarizing beam splitters that are available from stock for overnight delivery for use with engraving, marking, and scribing lasers is available from Laser Research Optics of Providence, Rhode Island. Laser Research CO2 Laser Beam Splitters permit up to 50% transmission and ±3% of reflectance to facilitate power measurements and beam alignment. Drop-in field replacements for engraving, marking, and scribing lasers, they are available from stock with overnight delivery to reduce downtime. Made in 0.75” and 3” O.D. sizes from ZnSe with various coatings to achieve their polarization states, Laser Research CO2 Laser Beam Splitters are designed to reflect a specific percentage of the incident energy while transmitting the balance. A 45 degree AOI and 10.6 microns is typical. Laser Research CO2 Laser Beam Splitters are priced from $175.00, depending upon size, and quantity; available from stock. Pricing is provided upon request and beam combiners are also offered.